HEYA POSSEEE! Portia from Australian Perfume Junkies on a Monday!! Just to freak you out. The lovely Ann will be here on Thursday instead this week. Cool? Today we look at what the Perfume Posse crew’s favorite 2013 Independent (Indie), Niche and Mainstream fragrances are. We let everyone choose their own level for each category and they are pretty fluid boundaries, some people couldn’t give a favourite for a category and some had 3 for a category. There were no rules just a place where you can see what we really dug this year. Like a mini Awards Ceremony, but without the trouble of having either Awards or Ceremony. The POSSE has spoken, but of course we want to read what you think too down in the comments..
Niche Favorite 2013: Jovoy’s Gardez Moi: A luscious, wet, green bouquet in a bottle starring gardenia. A hint of other white florals drops in, but not enough to mar the overall impression of its star player. As it heads into the drydown, a little fruity character slides ever so gently into the mix, and that, joined by a touch of vanilla, makes it almost edible. 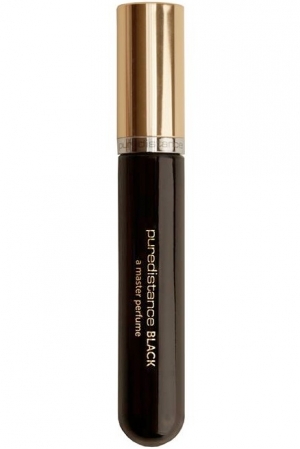 Simply a lovely scent that doesn’t go to extremes and is a joy to wear. Comme des Garcons Blue Encens: This is incense on ice that I’ll be tempted to spray year-round. It really does have that hot/cold dynamic going on, with the warm incense and the chilly spice of cardamom, pepper, and something else in the notes lending a cool sheen (the artemisia, perhaps?). Beautiful blue, indeed! 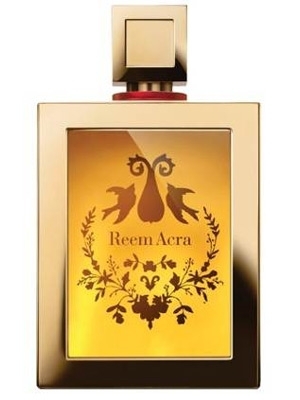 Mainstream Favorite 2013: Reem Acra: The visual equivalent of this lovely golden orange-blossom/peach of a scent could be a mellow, warm compote, fruit gently poached in wine, or perhaps cognac. Cedar, amber, ginger, musk and patchouli are the heating elements here and they ease the composition out of sweet-ish territory into a warm, slightly woody glow with moderate sillage and good lasting power. And it doesn’t hurt that the bottle is gorgeous as well. Niche Favorite 2013: Mona di Orio Violette Fumee’. Yeah, me and everybody else. This is the most gorgeous violet to be released in the past forever (not more gorgeous than my beloved Violets and Rainwater – too different to even be in the same category) – this scent broke my heart, then it took the pieces and reconstructed it into a bigger, more loving, more joyful spirit. I do wish Mona were still here to see how beautifully this has been received. She is missed – but with a scent like this, she will never, ever be forgotten. Massive-$$$ Niche Favorite 2013: Amouage Dia extrait. 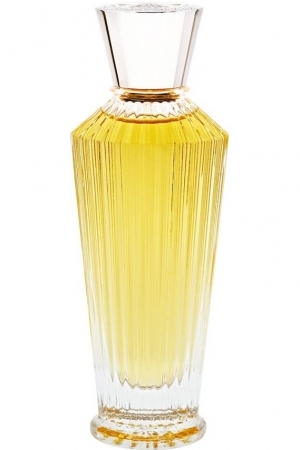 I’d completely dismissed Dia edp as a po’ gal’s Gold..then I tried the extrait. There’s a carnation/clove-y note deep in the heart of the perfume that is so beguiling. Quietly lush. Quietly luxe. I could wear this every dia. 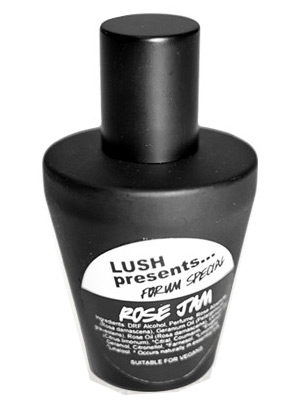 Mainstream Favorite 2013: Lush Rose Jam shower gel. It’s perfumed enough to carry you through the day and…well, I can’t stand the perfume itself. But there’s a plasticky/doll-head note that grabs me every time. I’ll have to send somebody in to get a bottle, though. Lush Boutique is hell on my sinuses. 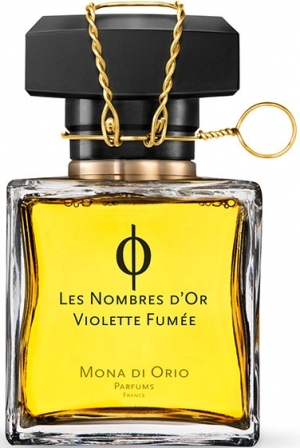 Indie Favorite 2013: Mona Di Orio Violette Fumee is, for me, the best of a great Nombres d’Or series – saying a lot since the vanilla one has me completely over the moon. Enchanting violet, married to incense and tobacco. Smoky, violet, things I never thought could be put together so beautifully. Niche Favorite 2013: Tom Ford Shanghai Lily takes first place in the white floral oriental. 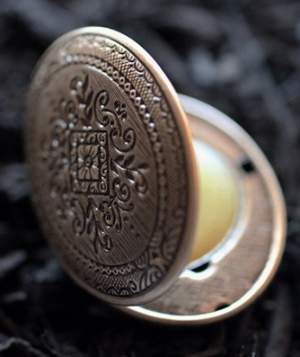 Clove, amber, benzoin, lily, vanilla, it is white floral oriental perfection. Mainstream Favorite 2013: Chanel 1932 is one of the best entries from a mainstream house, even though it is in an exclusive line. 1932 is a sparkly gem that is a joy to wear. I could add a lot more in here – O’Driu Peety, Olivier Durbano Lapis Philosophorum, Frederic Malle Dries Van Noten, Amouage Interlude (was that 2013? ), By Kilian Flower of Immortality. It was, for me, a great year for perfume. Lots of great scents that provided a nice twist on some old classics. My choices, with cut and paste from my reviews. Tough calls- this was a pretty good hear for ‘fumes. Indie Favorite 2013: Ashoka by Neela Vermeire Creations: Ashoka is the beautiful story of a warrior turned carer of his country and people. The woods, fig, spice and incredible journey that this fragrance makes through its cycle is astounding. Neela Vermeire and Bertrand Duchaufour have exceeded their original offerings with this subtle and majestic masterpiece. Ashoke reminds me that there is genius. Milano Cafe by La Via Del Profumo: This Milano cafe is wondrous, the dark bottom of the emptied coffee plunger mixed with the air of a popular cafe and the humanity within. A leathery, sweet, resinous amalgamation that is everything and nothing that a cafe is. Caramel, coffee, milk, tarmac, people, petrol and cigarettes. If you didn’t try this then get you to it. 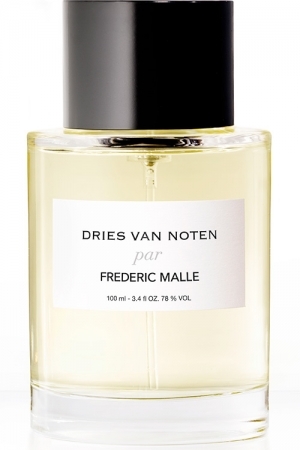 Niche Favorite 2013: Dries Van Noten par Frederic Malle: I loved this from the first sniff. Yes it is an intricate, beautifully blended and layered fragrance but it is also a wonderful, casual, easy wear spicy vanilla woods scent that goes great with a suit or gown but even better with jeans and t-shirt. Like wearing an egg flip, so comfortable and comforting. If you sniffed Dries Van Noten and dismissed it as too simple then please get yourself a sample and wear it when you have time to enjoy its nuanced beauty. Mainstream Favorite 2013: Ambre & Santal by L’Occitane: The opening is fresh and herbal with a lovely nod to fig but all I get from Ambre & Santal after the first few minutes is the base. The woods with amber/vanilla is my ride. It’s cosy, sweet, smells much more expensive than it is. Even in the heat of summer Ambre & Santal is a great choice and I wear it a lot. I love a spritz and go, easy wear, grab it whatever the mood fragrance that smells good and is not intrusive. Ambre & Santal is all that. So that’s enough of our favourites, what were yours? Why? Was it a good year? A crap one? Who really DIDN’T hit your hotspot this year? Come on, Fess up. We love to read what you think, join the conversation. Every Posse contributor will be avidly reading your thoughts and any or all of us may jump in and answer your comments, questions and snarky disses. This is my last post for 2013. I’d like to thank you all for: reading, commenting, your great good humour, your sense of adventure, for sharing and including me in your conversation about this incredible thing that we all love, fragrance, perfume, scent. Thank you for riding along inside my head on Thursdays. Thank you too to all the fabulous contributors here at Perrfume Posse who keep me entertained all week, every week. I wish you all a fabulous 2014, full of as much good stuff that you can fit and as little of anything else as possible. Happy New Year to the Posse team! I hope your 2014 is even bigger, better and brighter. A happy and healthy New Year to all of you. Thanks for letting listen and comment. you guys are the reason we do this! Happy New Year to you, too! YAY! Excellent that you’ve been here Ellen. Please come back and play in 2014 too. I have got to try that Milano Cafe!! And Cuir Gardenia!! I love all your picks! One I haven’t seen mentioned that was FBW for me was Mancera Roses et Vanille. I LOVE that one–simple but perfectly harmonious composition of roses and vanilla. It’s one Patty would say, like Prada Candy, in that it goes right for the pleasure center, easy to love and wear, and draws compliments. Ashoka, Dries Van Noten, L’artisan Skin on Skin and Deliria, Kilian Flower of Immortality are all excellent! Much love and wishes for an amazing New Year!! wow! you have some stunning choices there. I really need to revisit Skin on Skin! Happy New Year! I have a FB of Mancera’s The Aoud. It is one of the best things in my collection and I have not tried anything else from the line. I am remiss and will fix this glaring hole during 2014. I hope yours is safe, relaxed and happy, see you next year. Howdy, sweet Sherri! You mentioned that Mancera rose and vanilla to me a while back and hearing about it again it just sounds mmm… mmm good. Hope you have a wonderful, safe and blessed New Year! Oooh I also forgot: Fate Woman was awesome, too!! I agree! I forgot to add that one to my list! I love these annual lists and of course I love the Posse 🙂 Shanghai Lily is spectacular, and I really want to try Cuir Gardenia, among others – I have not tried many new releases this year. This hobby/obsession is continually absorbing, isn’t it? Thanks for all you do, everyone, I always learn something new and I’m always entertained when I stop by every day. It’s a pleasure to see you when you comment. Anyone that comments gets an instant gold star on their Karma in my books. we love the dialogue. What are you doing for NYE? Hey, lady — so glad you are loving the Shanghai Lily, too! And we both have got to get our hands on some o’ that Cuir Gardenia pronto. Hope you’re feeling great and are ready to rock and roll into 2014 🙂 !! Yes, 2013 was a really stellar year for perfume, and it figures because I am extremely cash poor at the moment! I was able to sample some Violet Fumee and Shanghai Lily and loved them both… and if the Violet Fumee had come in a 50ml bottle, I’d have braved my husband’s wrath and charged a FB, but I don’t think I’d ever get through 100mls. I am very anxious to try the Carpathian Oud, O’Driu Peety, Kohl de Bahrain, Zelda and some from Maison Dorin. Oh and the Denis Duran one by M. Micallef and Benjoin 19! There were also a few celbuscents that sounded good to me…Killer Queen and Erotique. And the L’Wren Scott one, as well. The new Kilian’s didn’t do much for me, nor did that Chanel 1932. I really ought to have known better with the Chanel, because the house just doesn’t do much for me, but the reviews were sooooo enticing! Happy New Year to you dear folks, and thank you for all the fun this year! PS Portia, I read your blog every day, but for some reason, I am seldom able to get the comments to work! First, um I don’t know why that might happen at APJ. We moved across the platform recently, maybe you need to unsubscribe and re-subscribe. Try that and tell me how it goes, I think there is a separate comments subscription, maybe? I am so UN tech savvy it’s scary. I too wish for a smaller size, imagine if every crew brought out a 15ml size spritz bottles? That would make the world a better place. I could easily do 3 x 5ml for half the price of a 100ml bottle in a set like Jul et Mad did. That was a great set and probably should have made it to my list, damn. TOO MUCH GOOD STUFF. I’m adding it above. Tammy, I did finally get a sample of Zelda and really liked it. it’s got an unusual vibe to it that’s not much like anything else I’ve smelled. So glad you’re along with us on the Posse adventure, and we wish you a happy, fragrant 2014! Hey, everyone, and happy New Year (almost) to you all! 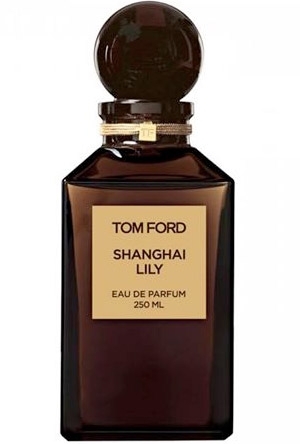 I loved everyone’s picks, and I very nearly put Tom Ford’s Shanghai Lily on my list but I knew Patty would have it covered on hers. And I’m glad Musette mentioned the Rose Jam shower gel. I forgot all about the Dries Van Noten (nice! 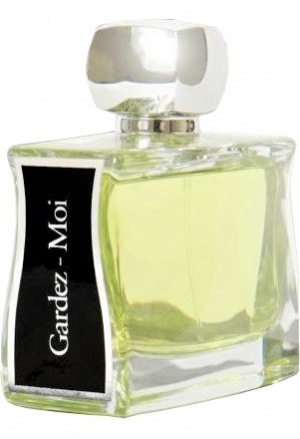 ), and now I must try the Aftelier Cuir Gardenia, too. Lovely to see you Ann on this last day of 2013 (here in Oz). You have me lemming Reem Acra, did you write about it during the year? I remember seeing it somewhere and then it fell completely from my mind. That bottle looks so beautiful. Hi, dear! Yes, that bottle on the Saks counter pulled me in and prompted a post on the Reem Acra earlier this year. If you can wait a bit, I’d love to send you some to try. You girls make me so happy. thank you for being my buddies. I’m adding my vote for Shanghai Lily and P. Black – also nodding madly at the uber expensive comment. Seems like prices have gone up and up this year but bottles have got plainer (I was going to say uglier but thought I’d be more polite ;-)). There’s no way I’d pay nearly $600 for a bottle of PB (I don’t know that I’d live long enough to use a 100ml bottle anyhoo), however much I like it, so will just have to make do with waving my sample under my nose every month or so. Mind you, I’m beginning to think I am related to Ebeneezer Scrooge, as when I was in The Perfume House here in Portland a few weeks back, people were cracking out the credit cards willy nilly and not batting an eye as the registers were ringing up 4,5,6,700 buckeroos. Thank you for being a part of the Posse. There are newbies arriving daily, we want you to feel wanted and welcome, we all started collecting alone and I only found this incredible online community less than 3 years ago. You will fit right in in no time. Yes, it’s a LOT of money to drop on something so amorphous but if I was only buying 2 or 3 fragrances a year it would be different, or if I had a squillion dollars. LOVING Fate Woman and Skin on Skin. YUMMY!! Are you wearing them much? Have a great 2014 TheGoddesssRena. I’ve only tried one on the list! EEK. There are so many perfumes to smell I often get overwhelmed and not sure which one to try first. But from all of the best of lists I feel that it is my duty to get my hands on the Neela Vermeire scents and finally try them. They seem to have fans right across the blogsphere, with people that seemingly have quite different tastes. I also wish that brands put out small sizes of their wares. I think that Andy Tauer’s Explorer Set is a great idea and I’ve just had a look at Neela’s site and see that she does a 3 x 10ml set of the 3 original fragrances. Even if I splash out on the Puredistance sampler, it is highly unlikely that I would ever fork out for the full bottle unless I suddenly won Lotto. Thanks for being one of the blogs that I discovered this year as well as many others including APJ’s that have educated me and fuelled the fire for this newfound hobby / interest / addiction! YAY!! Another newby this year. Great to have you on board. The Neela Vermeire Creations will have 4 x 8ml in the set soon because they are adding Ashoka, how cool is that? I have bought a few of the Tauer sampler sets and now that I have the FBs of my absolute faves I was thrilled to get 3 x 15ml of his works that I really liked but didn’t want the big size. Thanks for the heads up on the Neela Vermeire set – much appreciated. Happy New Year. Ballets Rouges is very special, I agree. Those Olympic Orchids can be addictive. It’s hard to get to even the MOST talked about releases. There are so many. I too am yet to try V F.
Great lists! Thanks to all the Posse for another super year of passion, poetry and perfume. The Violet Fumée certainly pleased this violet lover, and it won’t take much to push that pleasure to purchase point. I’m intrigued by the CdG incense, but need more time with it. Skin on Skin was a tasty and comfortable wear, I loved the almost Drôle rose in company with such a suave suede. Fille de Berlin was a berry pretty and sweet rose. LUSH got me with the roses too, not the jam, but the Turkish Delight Shower Smoothie. I’ve been trowelling that stuff upon my good self. Scrummy! I wake this morning to discover I have been allowed to commence a new year of sniffing – what delight! YAY! Sistah Mary is in the POSSE!! Nice to see you. I aim to spend a lot more Mancera time this year too. as to the Shalimar I am about to downsize my ridiculous collection so no more Shalimar. If I only wore Shalimar and it’s variants in my life I would still have to live to be nearly 3000 years old to use mine up. The cull is on. Portia, I have been looking everywhere for your Cuir de Gardenia review. Nice brushstrokes! Musette you are like “unidentifiable blossom dipped in wild honey’ (quoting you; a quote I have used several times). With a link of course! You are great. Your lovely lists have got me thinking. A belated Happy 2014, and thank you all for the Perfume Posse. It was one of the first perfume blogs I started reading regularly, way back in the Spring. I thought there’d be a nice lull in blog posts after the rush of Best of 2013 lists, but you all seem to have strong work ethics, so I may never catch up. Now I’m off to search for the review of Reem Acra! We are naughty and continue to write because we love it and want to keep you entertained. Happy New Year gorgeous. Fantastic list of Perfumes…. But my favorite is MUSETTE and i love its fragrance..